This match-up features the hottest team in the league going against the best overall team in the league. Both teams are very deep; expect 800 team games galore. With both teams being deep, what will this series come down to? The Pin Smackers have been consistently great all season long in order to clinch the first ever regular season crown in SABowl. While Adam is the captain, they've been led by prime-time bowler Abhishek Kumar. Abhi has the 2nd highest average on the season (195.4), the highest game of the season (279!!) and the highest series of the season (748). But if you ask Abhi, he will tell you the reason why his team is successful is the depth behind him. Eugene has quietly bowled a great season (168.8 - 7th overall), and the team has gotten good contributions from Sony, Andre, Adam, Mustafa, and Harp. The Pin Smackers average 742 as a team, which has them tied for 2nd overall. Their team high series of 878 is also the league's 2nd best overall. In the 2nd half of the season (last 15 games), they've had a 772.3 average, which is the best in the league. The simple reason behind their success is consistency. Abhi, Eugene, Sony, and Adam all show virtually every week. When a team has 4 reliable players, and two of them are in the top 1o overall, you can't ask for much more than that. (For Force's full intro, see their wildcard preview.) Force was taken to the limit in the wildcard round by SnS. But they also bowled their best 3 game set of the season (853, 808, 875). What makes this key is that they had to bowl this well; SnS nearly matched them pin for pin. Which means their 2nd half run continues. Not counting the playoffs, their 2nd half average was a 769.1; only a few pins behind the Pin Smackers. Force is going to have to be just as good as their wildcard showing, if not better, to beat the Pin Smackers. Roswell emerged as the hero of last week. Will be he able to repeat his MVP performance? Or will someone new step up? Force's match-up with SnS was a toss up. They are clearly the underdog against the Pin Smackers. Does a week ever change things. Entering the wildcard round, Roswell was viewed at the team's 6th best bowler, who likely wasn't going to start an elimination game. Now? He's entrenched as the team's lead-off bowler. In the case of Roswell, his 125.5 regular season average can be (somewhat) thrown out the window. Averaging just over 185 pins when the team needs you most? No question that Roswell can handle the pressure. Mustafa has done a solid job for the Pin Smackers all season. After a hot start to the season, he cooled off a little bit, but still finished the season with a 128.8 average, and a 133.7 average in his last 7 games (he's been subbed in and out). The bad news is that he hasn't bowled over a 140 game in the past month. Alan was solid in the wildcard round, bowling both his games in the 150s. And he missed a couple of easy spares that would have sent his score into the 170s. Force needs Alan to stay in the 160+ range for this week in order to have a chance against the depth of the Pin Smackers. Sony will once again be the X-factor for the Pin Smackers. If he's bowls very well, that makes the Pin Smackers extremely tough to beat. Sony will have his work cut out for him against Alan though. But this match-up is much closer than most would believe. Force's X-factor in this match-up is Raheel. In the wildcard round, he was all over the map, with an excellent game (191), and a slightly less than average game (137), with an average game mixed in (144). He's going to have to be pretty close to that 190 game in order for Force to go toe-to-toe with the Pin Smackers. Harp has been a great bowler the few times he has shown. His 174.8 average would put him slightly ahead of Prince and Eugene, had he kept the same pace going. The only question with Harp is how will he handle the pressure of the playoffs? But given that his lowest game of the season was a 151, he'll likely do just fine. Everyone who saw Shumail bowl believed he was off his game after game 1 (201). While he did have a few misses, he recovered to bowl a 157 game, and a 159 game the rest of the way. So on an off day, Shumail still bowled above his average. Given how many times Shumail has been in these situations, expect him to have a great series. The lower 2nd half average is misleading, as he had one dud game to lower his average. This matchup is extremely close; while one bowler is right handed, and the other is left handed, they both have similar approaches, and quietly do what is needed for their teams. Prince's wildcard round wasn't pretty (barely any strikes), but still managed to get the job done (189 average). But now he will be matched up against the #2 bowler in the league. The pressure will be on Prince to be even better than last week. Abhi, aka the mayor, is by far the league's friendliest bowler. Mess up a shot? He'll be the first to help you out. Bowl a great game? He'll be the first to congratulate you. But on the lanes, Abhi is as ruthless as we have in the league. Abhi's very first game in the league was a 138. Since then, his lowest game? 161. Just as good: Abhi has bowled more 190+ games (18) than even the league's top bowler Jason (16). Probably no one in the league expected Prince's 2nd half to match Abhi's. That being said, Abhi's been that good for a much longer period of time, and he's been in more of these situations than Prince has. This is Abhi's match-up to lose, and Prince has to stay with him. Expect all 3 games to come down to the last 2 frames. Both teams are stacked and have the depth needed to win a championship. Pin Smackers with their best 5 are dangerous - Abhishek, Eugene, Sony, Harp, and Mustafa. Abhi and Eugene make it look effortless. Sony has been improving his game and developing consistency in the upper 150's. Harp has only played 9 games but managed a 175 average. A 175 for your #3 bowler should seal the deal against any team. But Force has momentum. They break the 800 mark with ease now. They build off of each other. And the most dangerous thing about this team is that any one of their starting 5 can have a 180+ game. If Shumail and Prince just play their game, expect at least one of the other 3 to step up and get them the W. Last week, it was Roswell in game 3 and Raheel in game 1. When 2 teams match up this evenly, it really comes down to emotion. Force has been riding a wave of confidence for 5 weeks now. Coming off of a close win last week can only further propel this confidence to the level needed to take out the #1 seed. Expect the upset. This match-up features 4 of the top 5 bowlers the league has to offer (Jason #1, Don #3, Asif #4, Ayaz #5), along with arguably the league's best 1 on 1 rivalry (Jason vs. Ayaz in trash talking). Expect this series to be anything but quiet. The Pin Pals took a few weeks to get it going, but once they did, they took the league by storm. Ayaz brings a lot of bravado, but his team (along with him) can back up any talk they throw out there. They have bowled the league's highest team game (892), finished 2nd in average (742), and held the #1 seed for more weeks (6) than any team this season. They also possibly have the deepest complete team in the league. What makes this team even more interesting is that their stats are somewhat misleading. Asif missed 3 of the last 4 weeks. Riz has been missing in action for a number of weeks. Ayaz had to miss a few weeks as well. But showing true leadership, Ayaz was not concerned about any of this; as he knew what he was up against this season. Once his team made a run, all they had to do was hold on, and they'd still clinch a first round bye. The Pin Pals had their best run in the middle of the season. From weeks 2-8, their attendance was at it's best. Their average over that 5 week span was 776.8. No team had a greater 5 week average this season. More on stats below. The Strike Kings already got their intro in the wildcard round. In the wildcard round, Asian Sensation was able to take them to 3 games. Barring Ammad's season high performance, Asian Sensation was primed to make the upset. While gaining pressure packed experience is always a good thing, the fact is they are facing a better team in the semi-finals. To win this series, the Strike Kings will have to show more depth than they've had all season. Either that or Jason and Don will have to bowl career high series (which isn't impossible for these two). Strike Kings vs. Pin Pals - Pin Pals 2 wins, Strike Kings 1 win. Pin Pals won total pins. Tough to call based on the stats, especially given the attendance issues for the Pin Pals. The fact that the teams are virtually .500 against each other also says a lot. Chris has primarily been the lead-off bowler for the Pin Pals. He's done a respectable job, with a 134.7 average. The downside is that Chris's best week was in week 1. He has also not shown much improvement. That being said, he doesn't usually have much pressure on him as he know his teammates will bowl big teams. That means at any time, Chris could roll a high game seemingly out of nowhere. Arshad continued to show his inconsistencies in the wildcard round. He bowled a 146 in game 1, but was quiet the rest of the way. Although his 2nd half average was a 136.5, that puts him right at what Chris has done for the season. While Arshad has bowled some nice games, he usually follows them up with something relatively low. Dave is one of the league's true power bowlers. Only Adam might get the ball down the lane faster. Dave's average was a 137.6 this season. His 2nd half average is a 138, which means he was consistent all season long. This means the Pin Pals can expect a series of slightly above 400 at worst. Nisar was once again consistent in the wildcard round. But just like during the season, he was consistently bowling lower scores. His highest score in the wildcard round was a 122. He's going to have to step-up and win his match-up for Strike Kings to have a chance. The Pin Pals could very well go with Riz in any of the first 3 spots, but we haven't seen him lately, so we'll assume that Ayaz will go with Moe in this spot. Moe burst onto the season about halfway through the season with his unique style of bowling. Not only does he have a huge curve, but he chucks the ball 1/2 the way down the alley as well. He averaged a 154 for the season, which gives the Pin Pals great depth to combat the likes of Jason and Don. Ammad will once again be the X-factor in this match. He had the same label in the wildcard round, and after a slow start, came through big time. He bowled his 2nd highest series of season, and bowled back-to-back 150+ games for the first time this season. But given who he's up against, he's going to have to bowl 3 150+ games just to break even. The playoffs are right up Ayaz's alley (pun intended). He is one to bring on the big challenges, and absolutely loves the spotlight (people at the other side of the alley know when he's bowling well). While he's going to bowl at least a 180 average, expect him to kick his game into high gear. With Don, we don't have to expect him to kick his game into high gear at all. We've already seen him do it. With the Strike Kings collective backs against the wall, Don bowled games of 202 and 213. We also know that Asian Sensation tried to distract Don and throw him off his game, thinking that it would work in their favor. That plan totally backfired, as it only inspired Don really bring out his A game. This will be a great match-up of contrasting styles. While I expect Ayaz to step his game up, I don't expect Don to be outdone either. What makes the splits even more impressive is that when Asif came back from a 3 week absence, he was still able to average a 181 series. While this would beat most any other bowlers, going up against the MVP is a whole 'nother ball game. Hands down, Jason proved why he was the league's best bowler last week. In the Strike Kings 2 elimination games, he bowled games of 207, and 259. Depth be damned, Jason was making sure an upset was not going to happen in game 3. Jason's 2nd half average is weighted down by rolling a 512 series for one of the weeks. Take that week out, and his 2nd half average is really a 205.6. Either way, Jason has been really good, all season long. While I may have been harsh on Asif in that last match-up, the fact of the matter is that any bowler in the league would lose in a 1 on 1 situation against Jason. Asif is one of the few bowlers that can come close to breaking even with him. Regardless, the winner of this series will not come down to Jason or Asif. It won't be on Don or Ayaz either. The series is all about team depth. Even though the Strike Kings have an advantage in their #4 and #5 bowlers, their advantage is relatively minimal. So with the big players cancelling each other out, it's going to come down to the #1-3 guys stepping up. While Ammad is still the X-factor, he still likely gets cancelled out by Moe (and that's at best for the Strike Kings). That really leaves Chris and Dave vs. Arshad and Nisar. Chris and Dave have been in this spot before, and they're higher ranked bowlers. You do the math. I believe the Strike Kings will pull out a game on the strength of Don and Jason. But their depth that got tested last week, is in for an even bigger test to make the finals. While they did an admirable job against Asian Sensation last week, I think their lack of a true #3 comes back to haunt them. Both series going 3 games. Every game close. Players galore stepping up. An unpredictable finish. What more could you want? The wildcard round was great for the players in it and the people who came down to watch. Game 1: Asian Sensation got their before anyone else on Sunday to prep, and it definitely paid off. Jin returned for Asian Sensation and was solid, scoring a 149. Khaled had a 168, while Adam and Amin bowled a 140 and a 137 respectively. But who led Asian Sensation? That would be the player that got questioned by me the most, Yash. Calling his match-up with Don the biggest mismatch in the first round, Yash immediately made me eat crow by bowling a 180, which not only led his team, but beat Don as well. Once again proving the commish is a great predictor. Strike Kings got off to a slow start in this game. Jason and Don were able to pick it up, as both finished with a score of 176. Arshad bowled a 146. But that's all the Strike Kings got, as once again their depth hurt them. Asian Sensation won game 1 in a close one 774-735. Game 2 was more of the same. Yash once again showed that he shouldn't be taken lightly as he once again led the team with a 179. Khaled was right behind him with a 177. But they didn't get too much help after that and the next highest score was 129. Don and Jason started to get it going in game 2 as Jason bowled a 207, while Don bowled a 202. The surprise in this game was Ammad, coming through with a big 153. In a close game, him bowling nearly 30 pins over his average was huge. Especially when Arshad fell off and Nisar still couldn't really get it going. Thanks to Ammad for making me look smart in predicting he'd be the difference in a game, as Strike Kings take game 2 784-749. In the win or go home game 3, this match was all about the MVP taking over. Jason bowled his season high of 259 to do his part in ensuring the Strike Kings would advance. Don also stepped up with a 213, proving once against that the Strike Kings have the best 1-2 punch in the league and are not going to be thrown off in the big moments. But the big surprise was Ammad, bowling a 158, giving him back-to-back 150 games for the first time this season. As for Asian Sensation, their lack of consistency came back to hurt them. Amin bowled his season high of 167, and Khaled put in 162 pins. Khalil came off the bench to give a 150. But Yash cooled off and Jin didn't really have it after game 1. Strike Kings advance with an 865-752 score. MVP of this match-up: Without question, Jason showed why he was the league's best bowler. Although he got off to a 'rough start' with a 176, bowling a 207 and a 259 in two elimination games is just about as clutch as you can get. In game 3, he had a string of 8 strikes, which ensured Asian Sensation would play catch up all game long. Unsung hero: With apologies to Don, without Ammad, Asian Sensation was looking at a sweep in game 2. As predicted, he was the swing bowler in this match-up. With two 150 games, both wins, he gave Jason and Don the 3rd bowler they needed in order to advance to round 2. A lot of credit goes to Asian Sensation in this match-up. They really bowled well and gave the Strike Kings a big scare. Khaled kept going in his streak of impressive weeks, and Yash showed that he can handle big time pressure. After a late season swoon, they came on strong in this series. Strike Kings advance on to play the #2 seed Pin Pals. Expect a lot of trash talking between Jason and Ayaz this week. The banter between those two may be better than the matches themselves. This wildcard match-up was pitted as a total toss up. Both teams came in hot, and this was expected to come down to the 3rd game. Every game, except 1, was over 800, and neither team disappointed in this highly touted series. In game 1, Force came out hot from the get go, with Shumail and Prince starting off with double strikes in their first 2 frames. That set the tempo for the Force squad. They had it going all game long and finished with an impressive 853 score. Shumail led the team with a 201, Raheel had a 191, Prince bowled a 182, and Roswell bowled a 156 in a true team effort. SnS came out strong as well. Naeem and Nadeem made a couple of very difficult spares early which sparked the team and they were able to keep it very close early on. Mufthy led the team with a 179, Nadeem had a 169, and Raza added a 157. But it wasn't enough as Force took game 1 853-773. Game 2 saw SnS start out on fire and kept it going throughout most of the match. Raza led their charge with a 194, Mufthy had a 191, Amaad had a 186, Nadeem had a 154, and Hamza had a 151. When your lowest score is a 151, that leads to great things. SnS bowled the league team high for the day of 876. Force was almost just as good as game 1. Prince led the team with a 195, Roswell added in a 170, and Shumail had a 157. Force looked good in this game, but a couple of splits, plus the consistent striking of SnS hurt them and they couldn't overcome either one of those. SnS wins game 2 876-808, sending this series to an exciting elimination game. Game 3 was the most intense game of the SABowl season. And in the biggest game, who was the bowler to step-up? In a game that shocked the SABowl league, Force's quiet lead-off bowler Roswell bowled his career high of 232. Roswell only had one open frame, and had 2 separate strings of turkeys. Making his performance even more clutch, in the 10th frame of still a close match, Roswell got 2 strikes and a 9 to give Force the cushion it needed. If he bowled even a well-above average game of 180, Force likely loses this game and the series. As for his teammates, Prince bowled the quietest 190 the league has ever seen, which included a big 10th frame of strike, strike, 9, which cancelled out anything Mufthy could have done for SnS. Shumail added in a 159, and Alan bowled a 158. Force once again had a very balanced attack, but no one would have guessed Roswell would lead them to victory. Overshadowed in Roswell's career performance was SnS keeping it really close throughout the match. Raza bowled a 179, Amaad had a 157, and Mufthy bowled a 215, finishing the game with 5 strikes in row. The only thing that hurt this team was the 9th frame. Everyone on Force had a mark (a strike or a spare), while 2 players on SnS left the 9th open. In a game where virtually every shot counted, having a less than perfect 9th was too much for SnS to handle. Force wins a classic match 875-835. MVP of this match-up: Hands down goes to Roswell. Likely viewed as the teams 6th bowler, his game 1 of 156, and game 2 of 170 were already well above his average (125.5). He set the tone for the Force lineup all series long. And that was before his incredible performance in game 3. One can argue his 232 was more impressive than Jason's 259, as Roswell's previous career high was a 179. Roswell also bowled a 558 series, which is by far the highest he's had his season. Unsung hero: One would never guess that Roswell's 558 series was Force's 2nd highest series for the day. The highest? A 567 series bowled by Prince. Showing no reaction, as usual, Prince was able to roll games of 182, 195, and 190. What makes his games more impressive was that he couldn't even get a strike, until he absolutely had to (see game 3 recap). SnS was the 2nd best team on Sunday in terms of total pins. They've been the league's hottest team since week 5. Had they bowled against anyone else in the wildcard round, they likely sweep. This team brought it, and showed why no one wanted to play them in the playoffs. Expect them to come back next season as one of the league's most complete teams. Force moves on to play the #1 Pin Smackers in the semi-finals. Expect this match to be the antithesis of the Strike Kings vs. Pin Pals series. Between Prince showing zero emotion during matches, and Abhi being 'the mayor,' except no trash talking at all in this match-up. The 2nd wildcard preview also features two teams who are coming to the playoffs in a similar fashion. But unlike the Force vs. SnS match-up, these two teams are backing their way into the playoffs. The last time either team won a series was week 8. Both teams have been missing a key contributor since then (Jason and Jin), but it's very likely both teams will be at full strength. Asian Sensation came into the league as relative unknowns. They've had SASL veterans Khaled, Amin, and Khalil, but no one knew about their bowling abilities. But they came out of the gates hot, winning all but one series the first 5 weeks. However, after week 5, they've only won 1 series. Which is a little surprising, given their improvement. Over the first half of the season, their average was a respectable 672.1. But in the 2nd half, they improved to a 726.6 average, yet they only have a handful of wins to show for their improvement. They play a balanced team style, with Khaled as their clear anchor. After Khaled, they have very capable bowlers in Jin and Yash. Power bowler Adam has also done well at times, and Amin, Khalil, and Latif have been more than respectable #4 and #5 bowlers. The team's main problem has been consistency. One week they look like they can hang with anyone, the next week they're struggling to bowl a 700 team series. Khaled has done his best to carry the team through their rough stretches, but he has been asked to do too much as Jin has been missing, and Yash has dropped off considerably since his mid-season hot streak. If Asian Sensation can get back into mid-season form, and Khaled continues to bowl as well as he has, this team could be primed to make a run. But who is going to step up and follow Khaled's lead? The Strike Kings came in with high expectations, as Jason and Don were touted as 2 prime time bowlers. They have not disappointed. Jason led the league with a 205.4 average, while Don finished in 3rd with a 194.6 average. When one "struggles," the other usually has a 200+ game to make up for it. By far they have been the most dominant 1-2 punch in the league. For the first part of the season, it was wondered if this team could have been beat in a series. Enter the (possible) downfall of the Strike Kings. When your top 2 bowlers are as good as Jason and Don, of course a team will have a drop to the #3 bowler. It was said that if anyone on the team could step up and be a legitimate #3, that this team would be difficult to beat. But no one has stepped up. They've managed to get away with it to some degree, as they have the highest league average. But that is a misleading as Jason and Don have had great attendance, meaning the team was guaranteed approximately 400 pins. Which means as long as the other 3 bowlers rolled around 110 pins each, they would hit the 730 mark. Towards the end of the season, when all the teams got better, their lack of depth was exposed. In order to ensure a playoff run, they're going to need more than just Jason and Don. Strike Kings vs. Asian Sensation - Strike Kings 5 wins, Asian Sensation 1 win. Strike Kings won total pins in both meetings. While in the playoffs anything can happen, none of these stats are good for Asian Sensation. Arshad's average is slightly skewed, as he bowled two games under 100, dragging his average down by a decent margin. Take those games out, and his average is about a 130, which is okay from a team's 5th best bowler. In his last 11 games, his average is 136.5, which means he has slightly improved. But he has still been relatively inconsistent. Amin is one of Asian Sensation's sparks. He's not afraid to tell his teammates to step up, and he's not afraid to let people know when his team is doing well. His average has come from consistent games in the 130s. If he has a big game though, it sets the tone nicely for the rest of the squad. But it's comforting to know that you're likely getting at least 130 from him no matter what. Nisar has been extremely consistent, with most of his series in the 370-380 range. The only issue is that series in that range are only good for about a 125 average. He has also only shown slight improvement during the season. Although he did bowl his highest game of the season (185) last week, so maybe it's a sign of things to come. Adam might throw the ball faster than anyone in the league. What makes that even scarier is that he claims he's holding back when throwing it. He doesn't use finesse in his shots, which does leave a few open frames, but he can strike easily when he finds his spot. His average over his last 15 games is 147.8, so he has shown good improvement. At times, he's been the 2nd best bowler on his team. Ammad has had quite an interesting season. Admitting that he's a novice bowler, he has worked hard in changing his approach on strike and spare shots. But his results have truly been mixed. Ammad has bowled a number of games in the 140+ range. But he's also bowled games hovering around the 100 mark. Can't expect too much more than 130 out of him. But he is the swing bowler in this match-up. If he can reach a 150 average for the day, that will likely ensure a Strike Kings sweep. Jin has also had an interesting season. He burst onto the scene in week 2 with a 186 game. After week 6, Jin was the 10th best bowler in the league among players who qualified. But that's where things changed. Jin has only bowled 5 games since then, and he failed to break 140 in all 5 games. The old Jin is absolutely needed if Asian Sensation has any chance of pulling off the upset. Jin is the x-factor in this match. If he can bowl some of his top games (he's bowled over 155 6 times, so he's capable), he gives Asian Sensation a fighting chance. Yash HAS to return to that 166.6 average. When Yash was posting and trash talking on the boards, he was at his best. Once he quieted down, his game did as well. Maybe a loss of confidence has taken place. But the problem is, even if he returns to that 166 average, it won't be enough. Yash needs a career week in order to win this match-up. Don's lowest game? 173, which is 10 pins more than Khaled's average. Don's lowest series? 550, which is still a 183.3 average. The number of times Don has bowled in the 170's? Only 5 times. Which means 28 of his games are 180 or higher. Sorry Yash, this one isn't even close no matter how you look at it. This is the biggest advantage of any individual match-up in the first round. Jason has been by far the league's best bowler. He's the only bowler to average over 200, and strikes more than any bowler in the league. He has broken the 190 mark a remarkable total of 14 times, or more than half the number of games he has bowled in. The only knock on his game is that he'll get a few more splits than the other top bowlers. But since he strikes more than anyone else, he more than makes up for it. Khaled has shown he can go head-to-head with any top bowler in the league. He's even stepped his game up and cracked the 200 mark 4 times. But he's going to have to do it at least twice this week to keep his team alive. The question is can Asian Sensation take 1 game and force a game 3, where anything can happen. While they have more depth than the Strike Kings, their downfall is no real #2 bowler. The 'other 3' of the Strike Kings has been questioned throughout the season, but they likely won't be needed to step-up. Given how consistent Jason and Don are, we won't have to worry about their performance. So as long as the other members of the Strike Kings do their job, the pressure is completely on Asian Sensation. As much as we all love the story of the underdog, there's no analysis that shows a winner-take-all game 3 to take place. This match-up features two teams that are coming into the playoffs hot. SnS has not lost a match since week 5 and Force has not lost a single game the last three+ weeks. Some might say that this may be the best match-up of the entire playoffs; two equally matched teams that have depth. There is even talk that the top 2 teams with a bye this week are showing up just to see this series. SnS came into the league week 2 and had a rough start. After their first few weeks of play, most people wrote off this team and expected them to be the league's doormat. After week 4, their average was 650, which was worst in the league by far. But counting this team out was clearly a mistake. Since week 5, not only has SnS not lost a series, they've rolled a much improved 728 average. Even more importantly, in the playoffs, total pins do not matter. So if they can keep their streak going for 3 more weeks, they will be the first ever champs. SnS has no distinct leader. Yes, Mufty is their anchor, and Nadeem is their captain, but each week someone new steps up and puts up a big score. Out of all teams, SnS has the most bowlers who have eclipsed the 200 mark at least once this season (Mufthy, Raza, and Naeem). Attendance is not an issue for this team, they are so deep that if one of their bowlers is missing someone is there to step in and do well. You will alway find this team practicing during the week and before games and it shows as each player improves week to week. Force took awhile to get things going. While having a great roster on paper, attendance issues and underwhelming play killed this team early on. For the first 6 weeks, this team looked like it was dead in the water with an unimpressive 691 average. But after week 6, they have looked like a completely different team. From week 7 onward, the team has bowled a 769 average. The team also has a 10 game winning streak, which is the longest in the league. Force has had some monster 800+ games this season. Although they finished low in the standings, they are definitely a team to be feared. Lead by Prince who stepped up in the 2nd half (more on this later), the team really got going once Shumail and Alan started bowling up to their potential. Attendance HAS been a huge issues for this season, as their best five (Raheel, Bobby, Alan, Shumail, and Prince) have NEVER bowled together as a unit. If this happens on Sunday, and all 5 guys bowl to their capability, this may be too much for SnS to overcome. Force vs. SnS - SnS 4 wins, Force 2 wins. Each team took the total pins once. Game by game comparison - Excluding week 1, Force would be 19-11 against SnS. The stats do favor Force, but SnS has been by far the most clutch team in the league. They have the most wins by 10 pins or less. So SnS has a number of factors going for them beyond the scores and stats. Roswell has been inconsistent at times, but he's been getting better as the season progressed. His average over the last few weeks has been closer to the 140 range. His season high series was this past week (464), and has a few games in the 160+ range. James has been more consistent than Roswell, but has shown less upside. His average is virtually identical to Roswell's. In week 10, he took the league by storm inspiring as many JLin puns as you could think of; but outside of that, he's been consistently in the 120-130 range. Naeem finished the season with his last 2 games being the best 2 games of the season (200 and 202). Even if you take out those games, his average is still in the 135 range. Although Naeem has bowled in less games than Roswell or James, he's been more consistent with the the better chance of bowling a monster game. Bobby has quietly bowled a solid season. While he peaked early with a game of 189, and a series of 531, he finished the season with a 149 average. Bobby had a few low games, but most of his games were in the 140+ range. Consistent from the #2 spot in the lineup. Amaad came onto the scene later on in the season, but has been very good in the few weeks he has shown. Had he qualified for the league leaders, he would have finished 13th. His high series was 495, which is lower than Bobby's. But his average is higher, with most of his games in the 150 range. This match-up is the wildcard in this match. Both teams will likely use these pair of bowlers together for 1 (or 2) of these game, but in game 1, it's likely one of them will sit. That being said, the match-ups are still the wildcard in all this because these bowlers are the x-factors in this match. Alan sports one of the league's biggest curveballs, and is the only bowler to use a true reverse curve on certain spares. He has also shown flashes of brilliance, as his best series is 564, with his best game being a 195. But he's also been inconsistent at times, struggling to get out of the 130's. He still finished with a 149.4 average though, which was 10th best in the league among those who qualified. Raheel on the other hand is one of the leagues more experienced bowlers. But Raheel's value to Force goes beyond his bowling and solid average. While Prince is the captain, Raheel is the emotional leader, continually talking and trying to bring the best out of everyone. With a 147.7 average, he can also back up his motivation with excellent play. Nadeem is the captain of SnS. He's done a great job throughout the season of juggling the roster, even taking himself out at times in order to make sure everyone got their needed work. But don't be fooled, Nadeem is still one of SnS's best bowlers. Nadeem has been very consistent as most of his series were in the 400 range. His season high was a 191, but has a few other games in the 160+ range. Hamza has been a solid bowler for most of the season, but hasn't come much the last few weeks. So there is a chance he will be missing. His average of 136.6 is solid, but with not playing much lately, he's thrown in a few low games to drop his average. This won't get it done if Raheel and Alan bowl to their capabilities. Both bowlers have had some great games. Both bowlers got a new ball mid-season. Both bowlers have had an off week, but finished the 2nd half very strong. Shumail didn't qualify for the league leaders, but if he had, he would have finished 10th overall. By average alone, Shumail would win his match-up against any member of SnS. Raza started off his season slow. But once he got it going, he's matched-up well with any teams #4 bowler (which is usually the team's 2nd best bowler). As good as Raza has been, Shumail has been better. Combine that with Shumail's experience in these situations, means that Raza will really have to step up. But he has shown to do just that when he (and his team) have been counted out. While Mufthy has the lower average, he has been the most clutch on a very clutch team. In most of the close matches SnS has been in, it has been Mufthy who has ensured the victory with very strong 9th and 10th frames. Mufthy also bowled his highest game (243) and his highest series (596) against Force. SnS is hoping he repeats this feat again on Sunday. So even though Mufthy didn't finish the season as strong as he would have liked, in any close match, SnS will have the utmost confidence in him stepping up and getting the job done. Both have been great anchors for their team, and both bowlers are in the top 10 among league qualifiers. While Mufthy has turned more heads with his dynamic finishes, Prince has been the better bowler, and surprisingly by a decent margin. Expect all 3 games to be extremely close and most likely come down to the 10th frame, and who can close when it counts. The first two games will be split between the two teams leading to an exciting winner take all 3rd game. The winner will be decided based on the team that Force has on the lane. If they have their top 5 bowlers, expect them to take the match and advance to the semis. That being said, SnS has been chosen as the underdog the last few weeks and each week they come through with the upset. Looks like they're getting the prediction they wanted. 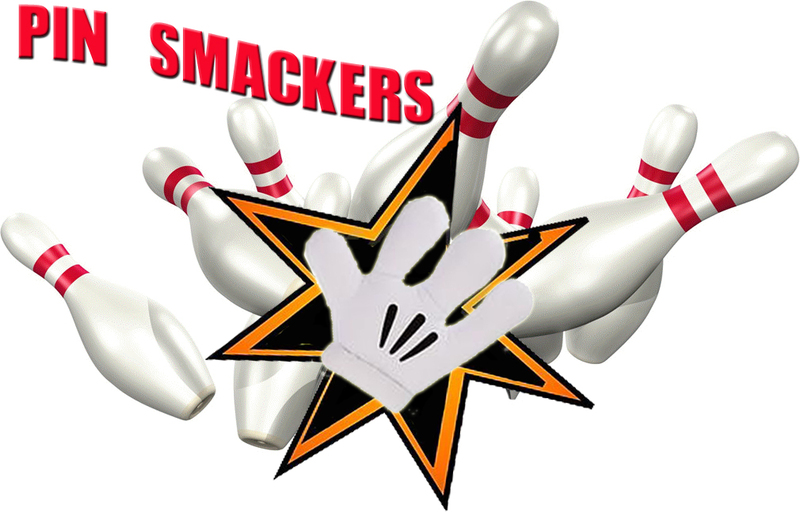 Congratulations to the Pin Smackers for being SABowl's first ever #1 seed. They were able to win the regular season crown by accumulating 79 points. Adam and his crew will be favorite to win the first SABowl title. Congratulations to Jason Reis of the Strike Kings as he is the 2012 South Asian Bowling League Bowler of the year. Jason led the league with the highest average at 204.5. Abhi Kumar of the Pin Smackers was 2nd with a 195.4 average. Here is a video of Jason in action. The biggest change between last week's games and this weeks game is that Jason Reis will most likely be in attendance, where as he would not have been last week. I think SnS will rise up to the challenge. But a motivated Jason will ensure that his team does not fall in the standings. Expect Strike Kings to win 2 games and the total pins. Scroll down to find my original week 11 predictions in the previews. Clinches #1 seed with a win and total pins. Can fall to #2 seed by losing 2 games + total pins. Can fall to #3 seed by getting swept AND Strike Kings sweep. Clinches #2 seed with 1 win and total pins. Can move up to #1 seed with 2 wins + total pins. Can fall to #3 seed by getting swept/by winning only 1 game (w/o total pins) AND Strike Kings sweep. Clinches #4 seed with 1 win and total pins. Can move up to #3 seed with sweep. Can fall to #5 seed by getting swept AND Force wins at least 2 out of 3 games (with total pins). Call also fall to #5 seed with 1 win (w/o total pins) AND Force sweeps. Clinches #5 seed with 1 win. Can move up to #4 seed with sweep AND SnS winning at most 1 game. Can also move up to #4 seed by winning 2 out of 3 + total pins AND SnS getting swept. Can fall to #6 seed by getting swept.